Two finest quality smoked salmon - wild-caught chum salmon from Hokkaido and wild-caught sockeye salmon from Russia. 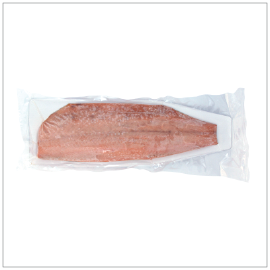 Tender fillets are hand-sliced, cured in brine, gently smoked then immediately flash frozen to retain freshness. These smoked salmon are lightly smoked to perfectly match the delicate flavors of Japanese cuisine. 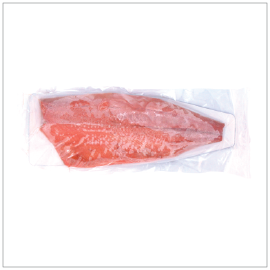 Chum salmon's mild flavor shows its highest potential when used as sushi or when paired with pickles while Sockeye salmon's naturally rich flavor is most suitable for sashimi and salads.